I wasn't planning on writing this post, but after coming across some information today, I felt I had a moral duty to report this. Some of you may be aware of this already. But for those consumers who are in the market looking for a cosmetic surgeon, this should be very enlightening. Many people today use the Internet as tool for searching out the best cosmetic surgeon. You will find many doctor rating sites, and also websites rating the cosmetic surgeons website. But do you know how the surgeons sites are rated??? By what scientific study??? By what public voting system??? Well one of them that I had looked at to register my blogs site, gave me options in different purchases. The more you pay the better and higher on the list your website will be rated. Wow!!! I chose not to complete my registering. But many recognizable cosmetic surgeons are on that site marketing themselves. I have nothing against surgeons marketing themselves, but I do have a problem with misleading advertising. On some doctor ratings websites, former unhappy patients have accused some posters as being impostors, giving raving reviews to a particular surgeon. They believe the raving reviews are posted by the surgeons office staff, or possibly the surgeon themselves. On flip side it is possible that some of the negative posts are posted by people that aren't even former patients. That's a whole other issue I will discuss in another post. However would you believe that some of the glowing posts on message boards and rating sites are posted by professional marketing companies hired by cosmetic surgeons? Here's some information from the blog of deceased plastic surgeon, Dr. Frank Ryan. This is where I feel the line has been crossed between ethical and unethical marketing. There are as some of you may already know, some cosmetic surgeons who are demanding rating doctor sites to remove negative comments and asking new patients to sign 5 year gag orders. It would be hypocritical for any of those doctors to do so, if they are involved in any deceptive marketing strategy's mentioned above. Even legally they would probably have a hard time suing a poster for negative comments that aren't warranted, if they themselves are engaging in such deception. Hopefully there aren't too many cosmetic surgeons involved in such practices. So next time you see a cosmetic surgeon with all high marks, and raving reviews, you may want to take it with a grain of salt. One of the best methods for finding a credible and competent surgeon is to get a referral from another surgeon or doctor. If you can't get one in your city, then one site that you can is called Realself.com They are cosmetic surgeons who answer your questions, and will recommend a surgeon in a certain region or State. Another thing you can do to protect yourself somewhat is when your on message boards/forums is ask another poster who has commented on a surgeon a lot of questions about the surgery, facility, office staff, etc.. and you can ask them for before and after pictures of themselves (via private message or public). But keep in mind anyone can pull before and after pictures off the internet and claim its them or even photo shop pictures. You could ask them if they have family photo's as well and mention that they can block out their eye section if they like. Even better, is to use Skype, where you can see each other live via video camera. However don't get or use a real cheap camera, you may have troubles with motion. You don't need a very expensive one either, just very average. One site that allows you to interact with other posters is makemeheal.com within their message boards section. Some surgeons may even have great b/a pictures, and that's great assuming it's their own clients, but if you have a breathing issue, you need more reassurance. My last surgeon who was in his fifth year, had marketed himself very well on his website, youtube, and in cosmetic magazines. He convinced me that he performed more nose surgery's then the average surgeon. So I assumed his 5 years may be equal to 10 years of another surgeon. Big mistake. I ended up much worse off as I have already mentioned on other posts. This doesn't mean a young surgeon can't be a good choice. If you can't afford or for whatever reason don't feel as comfortable with an experienced surgeon, then seeking out a younger surgeon who specializes in nose surgery makes sense in some cases. Just ask a lot of questions and see if your comfortable with the answers. Don't feel pressured or desperate to give in to what ever they say. That's a red flag. Find out who the surgeon trained with? Did he train with any well known revision nose surgeon? Did he go beyond his regular specialty board license, for extra training in facial cosmetics? Did he graduate at top of his class? Did he go to reputable medical college? Has he conducted any research on the subject? Does he perform all different types of nose grafts for improving and strengthening the structure of the nose or does he just offer risky reductive surgery? Does he harvest rib, septal, and ear cartilage in any of his surgery's? Does his website dedicate a lot of information to nose revision surgery? 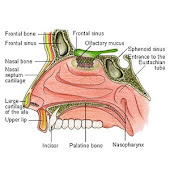 Does the website indicate that he is knowledgeable in regards to the complexity and major issue's with correcting failed operated noses? Does he work in an office with other more experienced surgeons or does he work alone? Here's a site that specializes in Marketing to cosmetic surgeons. I'm only including it here to show that such a company exists. I am not suggesting in any way that they engage in any of the above questionable practices.